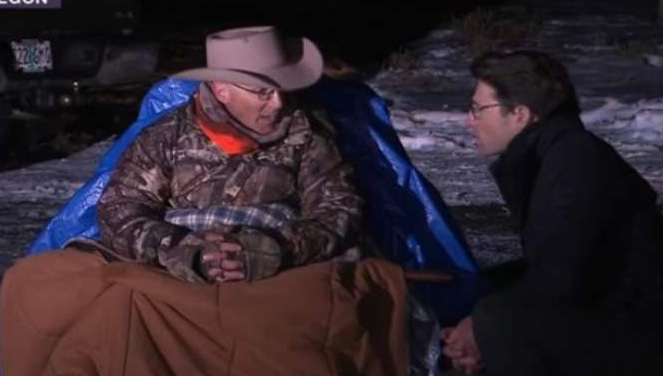 Robert LaVoy Finicum was a husband, a father, a rancher and a friend. He believed the federal government exercises unwarranted powers. In an interview he spoke positively about the people he dealt with from the BLM, but he made a poignant observation. No. Constitutionally, they should not. Finicum died for that principle. In the wake of the Ferguson unrest, we were told we should, “understand the protesters’ grievances.” I get that. They’re real. Perhaps we should apply that same principle now. I never agreed with the tactics. But a man died. That’s tragic in any context. No matter what you think about the ranchers, note the true nature of government – force, coercion and violence. Fascism is a form of government, in which the country is considered more important than any one person, group, liberty, or provision. A country under this kind of government is usually run by a person called a leader, who has the right of total control over the government and people. Rings any bell?